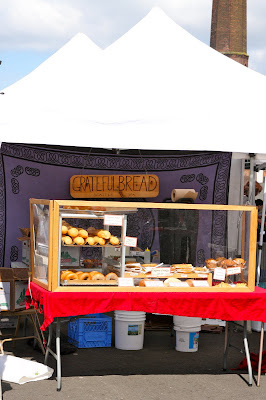 A few weeks ago, while at the Georgetown Saturday farmers market I stopped by the Grateful Bread stand. We chose their original and vegan chocolate chip cookies. They were both delicious! I had never heard of Grateful Bread. The bakery and cafe is located in Wedgewood where they sell their baked goods as well as Cafe Vita coffee, soups, salads and sandwiches. The menu looks so good, I need to get over there.